Daredevil continued its third season despite our hero taking a taxi ride to the bottom of the harbor. There’s little doubt that such a dip will keep Matt Murdock down for long, but Dex’s mental stability is a balancing act that doesn’t elicit similar confidence. One thing is for sure: Fisk will have plenty to say about both. Matt’s would-be cabby coffin is retrieved from the harbor, but there is no sign of Matt. 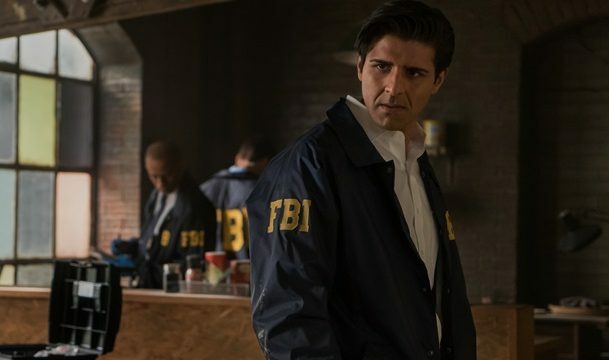 Fisk is frustrated by the news, but unleashes a backup plan by naming Matt as an accessory to the FBI. Ray wastes no time raiding Matt’s apartment, though nothing comes of it outside of a soaking wet suit on the floor. Little do they know that Matt narrowly escaped before they broke down the door and is listening to the FBI’s operation from the roof of the building. While Ray is busting in, Karen is freaking out following a confrontation with Fisk’s fixer Felix Manning. She threatens him to give up information related to Fisk’s association with Red Lion National Bank, but Felix quickly turns the tide. He displays an extensive knowledge of Karen’s past, stating that he makes problems disappear rather than fix them. The threat strikes at Karen’s core, causing her to experience gun-clutching paranoia while walking down the street. Her feelings are validated when FBI agents rush her and bring her to Ray for questioning. Ray’s questioning regarding Matt’s association with Fisk confounds Karen until he pulls a picture of James Wesley from his bag. Karen becomes visibly troubled by the photo, but pushes back, asking Ray if he has looked into Fisk’s purchase of the Presidential Hotel before exiting. Karen and Foggy meet up after Ray confronted Foggy at a campaign event. Foggy reassures her that Ray can’t connect any of them to Fisk despite unknowingly representing a Fisk associate, but Karen isn’t soothed. Karen then reveals the source of her worry to Foggy: she killed James Wesley. Once again, Daredevil’s writers show their unmatched strength with this Dex-heavy episode. Donovan delivers a box of information on Dex’s background, revealing that his homicidal urges have existed since childhood. An all-star pitcher in his youth, Dex kills his baseball coach when he takes him out of a game against his will. The act lands Dex in therapy with a woman who stresses that Dex isn’t to blame due to his understanding of right and wrong never developing. The sessions and unconditional support give Dex the structure he never had from his parents, who are now dead, and the young man begins improving. Fast forward a few years and a teenage Dex is watching his rock waste away from a terminal illness on the eve of her departure. Her attempts to calm Dex about a future without her incense him, leading him to threaten her life. When asked why, he states his desire “to punish you for dying.” The therapist stays strong in the face of the young psychotic, telling him that “death always wins.” Dex stands down and his therapist delivers a parting word of advice: find someone to look up to, a North Star to guide you. That North Star turns out to be Julie. The two previously worked together at a suicide prevention call center, where Julie’s presence kept Dex from expressing his violent thoughts to suicidal callers. Dex has stalked her ever since, looking to her as a constant force to live up to.Fisk sees this relationship as the opening he needs to accomplish his ultimate goal for Dex: giving the city a new villain. Fisk arranges for Julie to be hired at the Presidential, where she easily runs into Dex. The two reconnect over dinner, hitting it off quite well. That soon begins to fade as cracks in Dex’s facade surface, letting details that he shouldn’t know about Julie slip. Julie eventually leaves a pleading Dex, fleeing her stalker in terror. 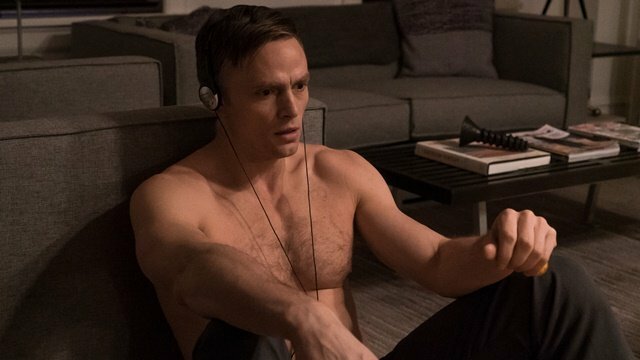 Dex reacts by ransacking his apartment before listening to one of his sessions with his therapist to calm himself. 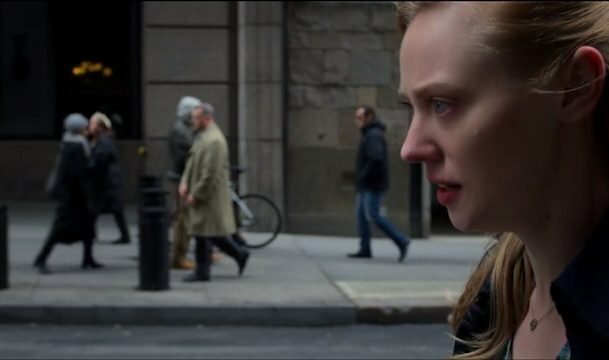 What do you think about Daredevil season 3 episode 5? Let us know in the comment section below!